Sauna, which originated in Finland, is now one of the most popular spa treatments as people seek to sweat out the toxins while sitting in the small cabin-like rooms. But is hot really better? No, according to World champion sauna masters Diana Laig and Maik Brandenburg from Tamina Therme, a public thermal bath in Bad Ragaz, Switzerland. Firstly, how did you become World Sauna Champions? We beat 14 other teams from all over the world, However, in the team event they were all from European countries. The finals were held in Bad Hofgastein in Austria. We had to perform a sauna session as a team with a specific theme. Ours was called Little Red Riding Hood – newly filmed. We therefore decorated the sauna, dressed up and chose special music and smells. Please could you describe what makes a good sauna? 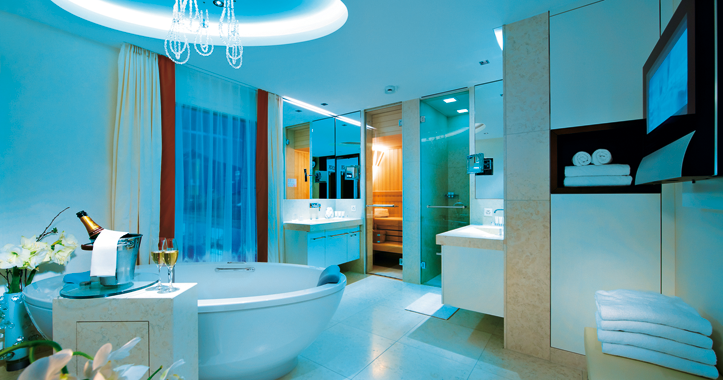 There should be a nice atmosphere to meet the guest’s need for well-being and relaxation. For the session itself the concentration of the smell and the increase of the heat have to be coherent. In addition, we use special waving techniques to distribute the air in the sauna optimally. Is it true that the hotter is better? No, definitely not, this is a sauna myth. There should be a constant increase of temperature, but guests should be able to stand the heat. We want to grant them relaxation. Of course, everyone reacts differently; therefore it is important the visitors decide for themselves when to stop and to listen to their bodies. What wood should a good sauna be made from? Abachi wood is one of the best ones, as it is soft, without resin and splints and it has optimal temperature characteristics. In most of the classical saunas they use spruce wood, which is also very good. It has a good texture and does not smell. What do you think of the saunas with big glass windows, are they as effective? The wood in the classical saunas saves the warmth, which is not the case with glass. On the other hand, guests have a beautiful view in these saunas there. How did you become sauna experts? What advice would you give to spas installing a sauna? The place of the sauna needs to be convenient. There is fresh air needed and the waste air has to be put away very quickly because nobody likes waste air in a sauna. The wood should be chosen accordingly (Abachi or spruce). The oven should have an appropriate size, so that the correct heat can be achieved, and they should have a VDE certification. The showers should not be far away to grant the sweating guests that they can cool down as soon as possible. • Have a rest of 20 minutes. • At the end of a sauna visit only shower with water and without shower gel and have an additional foot bath. Do not do sports afterwards. Going to the sauna is always a change between hot and cold. You should take your time for it. Without hectic or stress, sauna means relaxation. • Europe’s most abundant thermal spring is located in the Tamina gorge near Bad Ragaz, and was discovered in the early Middle Ages (1242). The Tamina spring not only gives its name to the Therme, but also provides the healing thermal water. In the 16th century, the physician and alchemist Paracelsus praised the healing effects of the water, which due to its low mineral content and a temperature of 36.5°C is regarded as a warm spring. 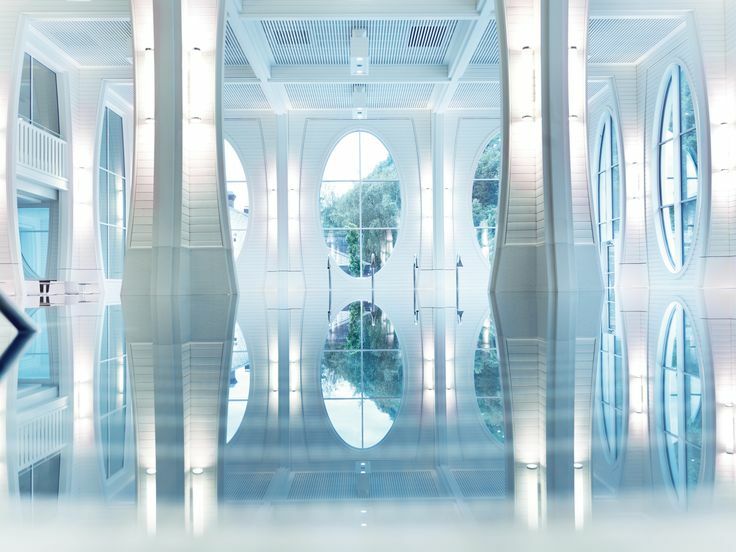 • In the early days, the first spa guests were lowered into the gorge on ropes – since 1840, a pipe four kilometres in length has brought the water to Bad Ragaz, where in 1872 Europe’s first thermal water indoor pool was created. Today, the Tamina Therme is a public wellbeing oasis, a haven of relaxation that rejuvenates and strengthens the body, mind and spirit. The courses at the Tamina Therme offer variety and activity, and four different therapeutic bathing programmes are tailored to promote the wellbeing of every guest.